Tracks is a game that will bring forward a lot of nostalgia for people of a certain age range. If you ever remember playing with a wooden train set as a child, then you’re in for a treat. 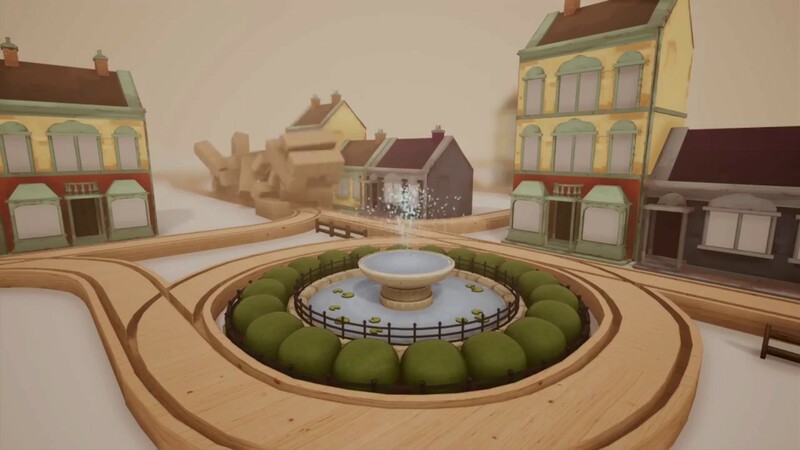 Tracks allows the player to recreate elaborate train sets, complete with decorations, and drive a tiny wooden train through them. It brings about an insanely wholesome feeling and will probably make you pine for yesteryear. Tracks was created by Whoop Group, a one-person developer who originally created the game as part of the 2017 AGDG (Albuquerque Game Developers Guild) Comfy Jam. It has since then been transformed and worked on and has become a full-fledged game, albeit still under the bracket of early access. 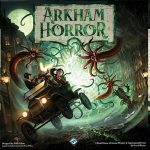 It is now being published by Excalibur Games, an indie publishing company responsible for releasing a fair few indie gems, like the Shoppe Keep series. It’s no surprise that Tracks was originally created to be a ‘comfy’ game. Just booting it up and looking at the familiar wooden train sets your heart on fire with nostalgia. 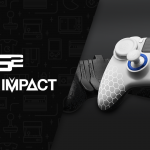 It’s the digital gaming equivalent of wrapping yourself up in a big, fluffy duvet and drinking hot chocolate. The perfect complement for the encroaching winter season. So far, Tracks is in a very early build, so most of the game’s features and settings are still being worked on. Having said that, it’s easy to see a decent picture of what the game is going to become, as well as a lot of the main features that it will have in the end. In the main sandbox mode, you build different tracks using slopes, bridges, tunnels, twists, turns and crossroads, as well as a great number of different scenery pieces. For the most part, the track building in Tracks is pretty intuitive. You construct the tracks by clicking on an existing piece of track and then moving your mouse to different positions. 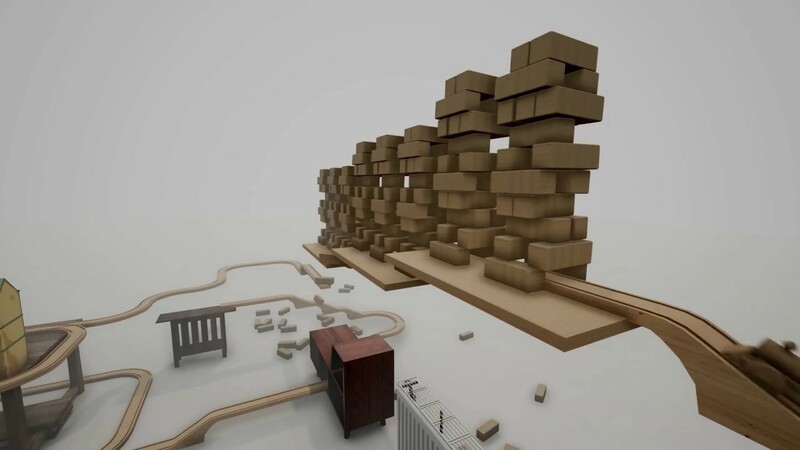 The tracks that the game selects depend on the height of the mouse, the direction in relation to the track and if there are any other pieces of track in the way. This way you can construct anything from complex train junctions to simple coaster-like designs. Currently, there is no way in Tracks to create tracks independently of other pieces of track, meaning that if you want two separate pieces of track in two locations, you have to connect them to each other and then delete the intervening pieces. This isn’t much of an issue, in all honesty. It works just as well as it would if you were manually placing the tracks and is much more intuitive than having to place all of the pieces manually. The scenery menu is already pretty extensive in what it contains. You can create entire towns with all of the different houses and business available to you. There are people to inhabit your creations with, as well as everything from vehicles to animals and even some new circus objects to give your towns even more attractions. You can also mess around with the background of the levels, things like making it snow and making the ground out of different materials like snow or sand. It really gives you a huge number of possible creations. You can also customise your train with a variety of different patterns and colours. The selection is currently a little limited, but since you can already turn your train into a gingerbread train, does it even matter? It’s almost certain that Tracks will have more and more customisation options as time goes by, it’s all only a matter of time. The sandbox mode isn’t the only string to Tracks’ bow. As well as endlessly being able to construct your own train sets, you can also compete in passenger mode. The mode isn’t fully fleshed out, in fact, only one level exists, but it is still an interesting proof of concept for what will come in the future. In passenger mode you have to ferry different groups of figurines around a map, delivering them to different stations under different requirements. This might be things like a time limit or making the track jump a certain number of times before you reach your destination. You have to construct the track around several different obstacles to make sure that your passengers reach their destination. In general, the building in Tracks is only half of the enjoyment. Things only really come together once you’re manually driving the train and get to drive around the set you spent hours carefully constructing. Already this joy seems to be deeply set within the community as there are many people discussing level sharing ideas. 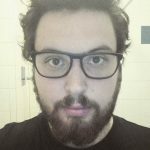 Even the dev confirmed that the idea of level sharing was something they were looking to implement. The breadth of what is already possible with Tracks is pretty staggering. 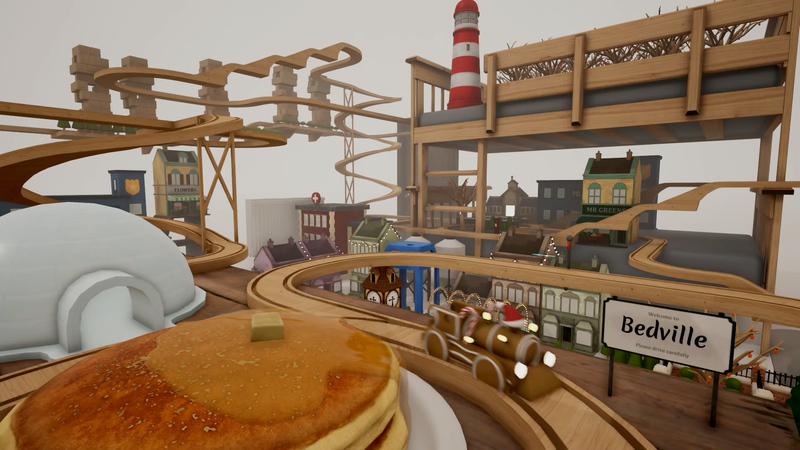 To illustrate this, the dev included two demo levels, one which shows off a roller coaster-type design and the other showing off the ability to create musical tracks that play as your train drives through them. You can spend hours of your life transposing simple songs into Tracks, and it’s not hard to imagine that level sharing in the future would be filled with insanely elaborate feats of wooden train engineering. Tracks has a wholesome enjoyment to it that very few games have ever managed to pull off. The entire time you play there is soft piano music, the glow of the sky box is welcoming and warm and the feeling of playing with a train set will transport players back to their childhood with the greatest of ease. If you’ve ever wished to experience the feeling that crafting your own train set would give you or wanted to be whisked back to the simpler time of your childhood, then you owe it to yourself to get this game. 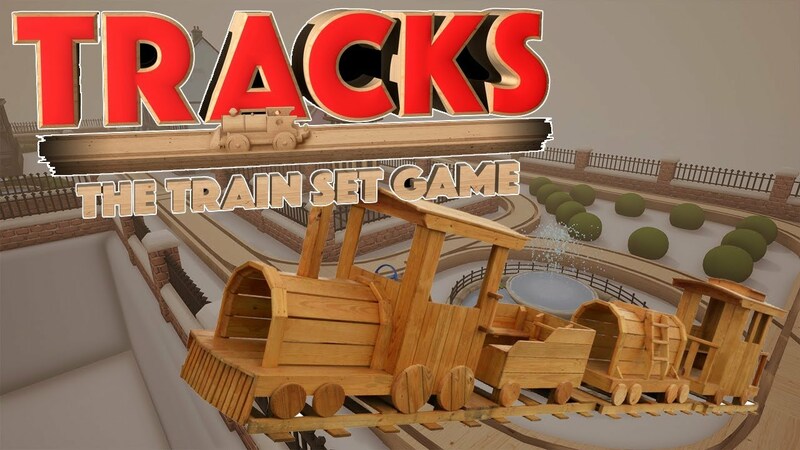 Tracks - The Train Set Game is an amazing experience that will transport you back to a time when all the joy in the world could be found with nothing but a wooden train set and your own imagination. It is filled with the sort of warm and cosy feelings that you can only get from such a deeply ingrained memory and already has an insane number of scenery and customisation options. Despite being quite early in its life and still dwelling in the dreaded sphere of early access, the game is already an insane amount of fun. If you ever had a wooden train set as a child, you'll never be happier than reliving those early memories with this game, and you really owe it to yourself to try this one out.